Between stacks of homework, bullies, and awkward texts, middle school is its own sort of battlefield. In this five-minute film, students work through their anxieties using mindfulness. “It feels awful, so I try to do everything perfect,” says one student. It’s a statement we can all relate to—that anxious thought loop: if I just work on myself a little bit more, I’ll make fewer mistakes, and everything will work out better. This short film, titled “Release” takes us into the minds of middle-schoolers, struggling with social queues (“the 7-th graders think they’re the best” and “do I wear makeup?”), texting habits (“there have been stupid arguments over text messages”), bullying, and balancing homework and activities. The hectic pace changes a few minutes in when students are guided through a mindful breathing practice. You can see on students’ faces that those thoughts are still surfacing—there are knotted brows, and a few frowns—but they begin to dissipate. A few smiles form. “Release” is the second film by Julie Bayer and Josh Salzman, who created “Just Breathe” last year. Kindergarteners talked about how mindfulness and breathing techniques can help them cope with anger and other difficult emotions. The short aired on the Oprah Winfrey Network’s Super Soul Sunday program in the spring of 2015. Bayer was inspired to create the film after taking a six-week course with Mindful Schools, an organization that teaches mindfulness in US schools. 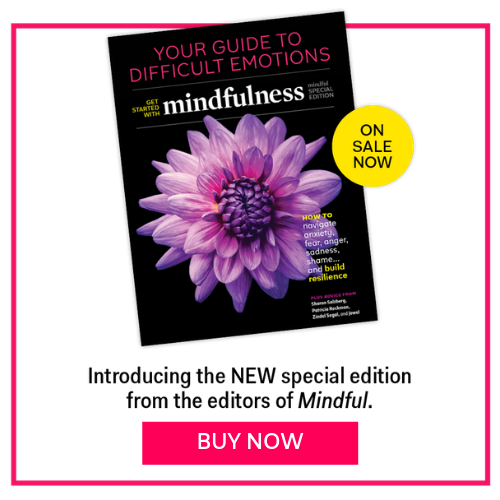 The transition moment in the film—from students speaking about their anxieties, to easing into a breathing practice, where you can still see that those stressful thoughts are coming up for them during the practice—speaks to the idea that mindfulness isn’t about fixing yourself, it’s about working with your mind. A steadiness emerges as the students return to their breathing, again and again.